Benoît, Peter, 1834-1901. Charlotte Corday (Sketches) . 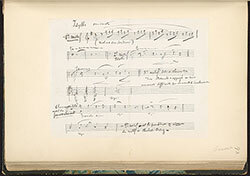 Sketches for Charlotte Corday : autograph manuscript, 1876?